We developed & improved our Cleaning Methods thru years of fruitful experiences from our staff, and also feedback from our customers. And the key point to our service is HYGIENIC DEEP CLEANING. What Is Hygienic Deep Cleaning? Traditionally the cleaning of upholstery was done by using vacuum, others using dry powder form for the cleaning, some uses UV ray to kill germs & eliminate dustmites. All the above mentioned cleaning system were good but it is not effective enough. All the mentioned methods are meant for either surface cleaning, or simply “killing the germs” only. However through our years of research & experiences, we have developed a new technique called the Hygienic Deep Cleaning. 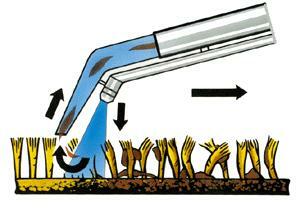 As seen from the above picture, it demonstrates a nozzle sprinkling water to the surface, creating a medium for the soil and particles. Seconds later the water medium was extracted by a powerful wet vacuum that takes out all the dirty particles even from the deep surface. 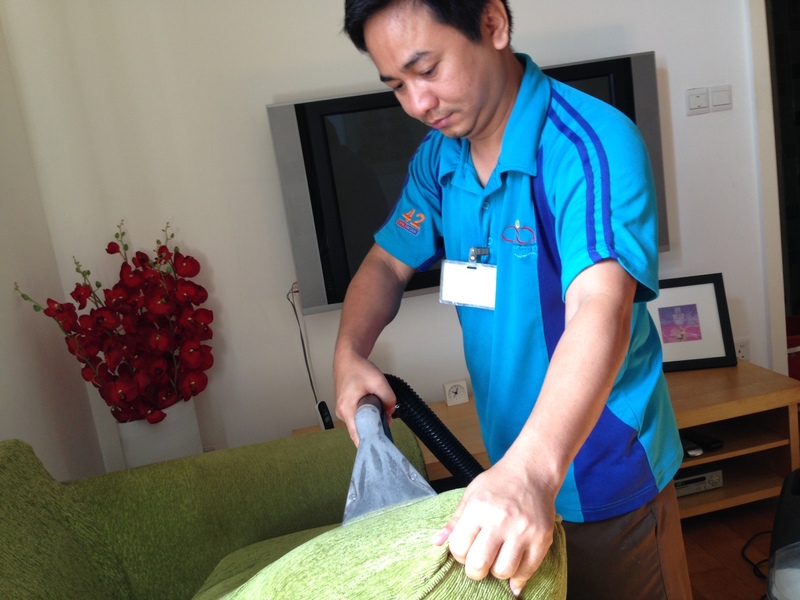 This method effectively removes the foreign particles from your upholstery. As an extra precaution step, we perform a Sanitation using High Pressure Heated Steamer to eliminate the remaining harmful germs on your upholstery. We emphasize heavily on hygiene and thus we developed this cleaning method for everyone to enjoy a hygienic environment to live in. Better Appearance – Looks Nicer, Smell Nicer, Feels Nicer. Saves Money In Long Term – Cheaper than Replacing It!